A view from above of this lovely little seaside town nestled on a peninsula in the Indian Ocean – expect antique shops, coffee shops, friendly locals and great views! 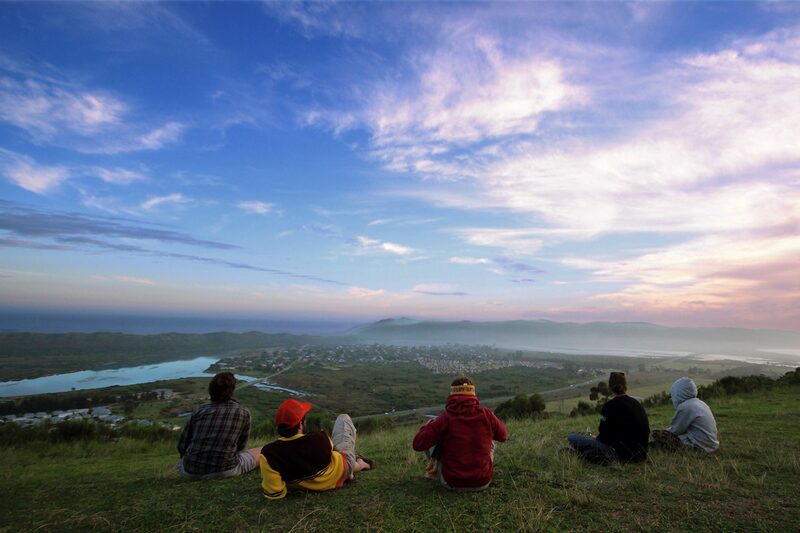 The Garden Route is dotted with divine locations which offer a whole assortment of fun activities; adventure junky? Wine connoisseur? Heritage hunter? You’re sorted on this piece of heaven on earth. The best part is that we were born and bred here, live here, love it and are on the lookout for amazing spots to have one-of-a-kind experiences. This month we want to focus on the awesome seaside harbour town of Mossel Bay and give you a couple of reasons to spend an extra night (or three) here – besides all the beach time you can get! Let’s paint a scenic picture, shall we? The whole area around Mossed Bay is characterized by lush green forest, winding, endless rivers, white sandy beaches and the sound of continuous crashing waves (yeah, it’s a surfers paradise). Mossel Bay is also surrounded by the Outeniqua Mountain Range. Green, rolling slopes with countless opportunities for taking photos… (come on, we know you want to make the folks back at home jealous of your awesome trip!). What else was going on around there? Mossel Bay is lush too in history, charm, and mystery. Back in 1488, the first European arrived- remember the name, Bartolomeu Dias? He came up with the name the Bay of St. Blaize (the name Mossel Bay only came later) and it fast became a bigger town and prominent harbour. Exports of ostrich feathers, wool and ochre took over the trade. Ohh… and the Mussels? Yeah, those were discovered too and fed most of the sailors coming in and out of the town. Getting your dose of heritage is easy too. That’s another big attraction in the area. Dolphins you’ll see all year round, but the Whales (southern rights, possibly orcas and humpbacks) you’ll see from about September onwards. With the highest concentration in Great White Sharks in the World, Mossel Bay is your place to do it! Great white sharks prowl the coast… beautiful creatures… to be respected. And if golf really isn’t your thing, go and join a tour with Point of Human Origins to the Pinnacle Point Caves. This archaeological site, with a guide, (and the great Point of Human Origins tour) offers a view into the origins of humankind and their travels and movements around our coast with an interactive day trip and hike to the caves.